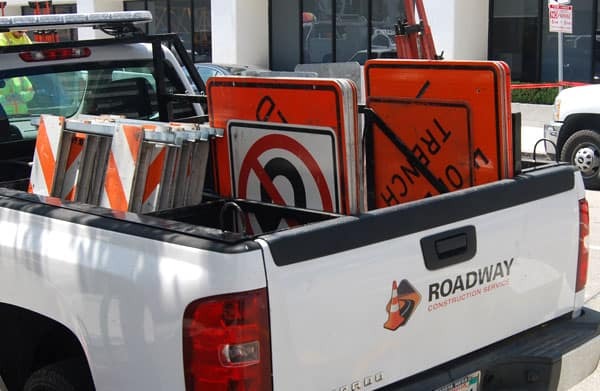 The mission of Roadway Construction Service is to set the standard for Safety, Customer Service and Reliability in the traffic control service, planning and permitting industry. Roadway Construction Service will achieve this mission through experience, commitment to customer service and the most extensive employee training and safety program in the industry. Roadway Construction Service is committed to safety as its core value. Roadway has a safety history that includes zero recordables, zero traffic related injuries and zero pedestrian related incidents. Roadway attributes its unblemished safety record to its dedicated team of safety professionals. We are committed to empowering our valuable employees to work the safe way, the Roadway way, everyday. Centrally located in Santa Fe Springs, CA (Los Angeles county), Roadway Construction Service serves the greater LA area and surrounding counties of Orange, Riverside, San Bernardino, San Diego and Ventura. 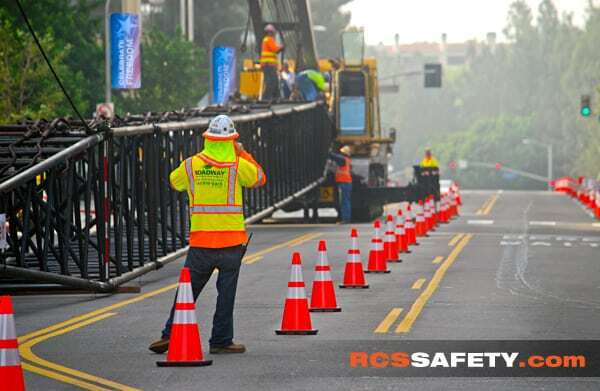 Contact Roadway Construction Service to learn more about what makes RCS Safety different why they set the gold standard for customer service, planning, and permitting in the traffic control industry. The cornerstone of our service offering is traffic control planning. This crucial component is the first stage in a sophisticated process. During the planning phase, strategists create a traffic control blueprint emphasizing safety and efficiency. A variety of variables impact their planning decisions. These include road conditions, expected traffic volume, meteorological conditions, potential hazards, and other crucial factors. The permitting process goes hand in hand with traffic control planning. Every traffic control project requires various permits prior to implementation of a plan. Permits are granted by local decision makers such as government officials and business leaders. To obtain these crucial authorizations, a traffic control company must offer a solid plan that conforms to expectations and municipal standards. Understandably, safety and environmental impact are among the important considerations at this stage. If criteria aren’t satisfied, permits are denied. In that case, planners must modify their traffic control strategies to acceptable standards. Roadway Construction Service is uniquely qualified to manage the permitting process. Supported by expertise and years of experience, we consistently deliver accurate and workable plans that satisfy the most demanding requirements. Furthermore, over the years, we’ve forged long-lasting relationships with many key decision makers. These bonds help promote a mutual understanding the facilitates accurate planning and rapid decisions. This quick turnaround ultimately saves clients considerable amounts of time and money. While a diversity of experts contributes to traffic control success, those on the scene have the most direct contact with the public. Known as flaggers, these on-site personnel are responsible for maintaining the safety and efficiency of a road construction area. Using flags and signs, they communicate vital information to pedestrians, motorists, work crews, and each other. Because of the great responsibility on their shoulders, our flaggers undergo intensive training and earn the industry’s most prestigious credentials. These include the highly-regarded OHSHA certification. Urgent situations often arise unexpectedly. Aware of this unpredictability, Roadway Construction Service has developed a sophisticated, 24/7 emergency traffic control program. Expect our response crew to get there quickly. And expect them to bring the unique expertise that has distinguished our company for years. Bolstered by this expertise, our response crews consistently provide quick, reliable solutions that minimize the negative impacts of urgent situations.